While serving as a helicopter pilot in Viet Nam in 1967, I was called upon to medevac a seriously wounded soldier. He had both legs and an arm blown off in a mine explosion. I was to fly him to the hospital at Bien Hoa, some 40 miles away. Due to low cloud cover, beginning at 200 feet, I decided to fly above the clouds and home in on Bien Hoa mountain, which was visible through the low hanging clouds. This was safer than flying low level and risk being hit by enemy ground fire. As I approached the Air Base, I realized that it had 200 foot power lines surrounding the Base. I said "God, this man is still alive and I need help to get him and my crew down safely." At that very moment, the clouds parted over the entire length of the runway. As soon as I landed safely at the hospital pad, the clouds then closed back up. Thank God for His quick answer! Back in 2006, our youngest daughter stopped walking and went back to crawling. She was 2 and a half years old at the time. We noticed considerable swelling in her left knee so we had our doctor examine her. She was diagnosed with juvenile rheumatoid arthritis. For years she continued to struggle with this problem, which also resulted in many spells of extremely high fever, as well as hampered growth. For years we prayed and hoped for healing to no avail. Then we decided it was time to stop hoping and believe that God would heal her. It was in the summer of 2014 that we prayed, believing, and the symptoms left her. On January 12, 2015 the doctor verified what we already knew. THE ARTHRITIS WAS COMPLETELY GONE!! Thank you Jesus for healing our daughter! On the 31st of December, a member of our church offered to burn some trash for someone else. He wasn't aware that an aerosol can was mixed in with the paper trash. As he stirred the paper in the fire pit, the can exploded and he was struck, in the face, by a sharp piece of metal. He received cuts to his nose and cheek, missing his eye, and required 42 stitches to his face. His wife called for the church members to join in prayer for rapid and complete healing. He was at the Sunday church service 4 days later. Thank you Jesus for answering prayer in time of needs. About three weeks ago, I went to meet with several people, who were buying old cars, that I was selling for a deceased friend's estate. I always parked under a giant pine tree for shade. On this particular day, as I pulled in a voice said "park next to the other car" and I pulled in next to it. About a half hour later, a friend from town came out in the back and said "you sure are lucky, that big pine tree fell down and missed your pickup by about four feet!" I went out front and was able to move my pickup by entering the passenger door only. Then my friend held the branches away to prevent scratching the paint further. The vehicle had only minor scratches. Had I parked in my usual spot, my truck would have been totaled! I thanked God for the warning and sparing my truck. Then, two weeks ago, a pine tree fell on my property missing my 10x20 storage shed by two feet. Could it have been luck, coincidence or God's protection? Think what you will, but I believe it was God's protection! I'm blessed, not lucky! Can We Escape the Coming Destruction? The prophet Jonah was sent to Nineveh to call upon the people to repent of their sinful lifestyles. God promised to be merciful if they would accept His offer and repent. Everyone in Nineveh indicated their willingness to repent by fasting and covering their bodies with ashes and sackcloth. God then spared them for two more generations. Sodom and Gomorrah did not repent and both cities were destroyed. The same thing happened in Noah's time. There is a moral erosion currently going on in our country. The moral decay has been by the actions of a minority with sinful lifestyles imposed on the majority. It has been said "Evil will triumph when good men do nothing." We need to be willing to stand up and fight to prevent God's judgement on our country. Christians cannot afford to be spiritually blind! 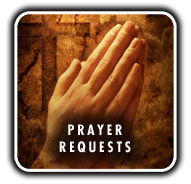 I pray on a weekly basis with two other ladies in our neighborhood One lady told us that she had a rotator cuff problem that was causing her a lot of pain. She had seen her doctor and he was going to schedule her for surgery. We prayed for her healing in the name of Jesus and the pain went away. She didn't need the surgery and was able to play golf with no more pain. Thank you Jesus for healing her. My sister had lived a life of failure and despair for many years. I kept praying for her and believing that someday she would find God and turn her life around. Her way of life resulted in three failed marriages, as well as many years of misery and unhappiness. Finally, when she reached age fifty, she turned her life over to Jesus. As she grew, in His Love, she found the peace and joy that she had been searching for all of her life. This caused a tremendous change in her life and she shares her love and joy with everyone including our mother. The love of God is contagious and brings about a wonderful peace to those who accept His love. As the Rulers of Darkness keep spewing out wickedness, the Lord will keep giving us the power we need to overcome and build His Kingdom. This power is given to those of us who have complete trust in Jesus. This power is given to us by what is our hearts. We must have faith and believe. In Mark 16:15-20, Jesus said, "He who believes and is baptized, will be saved." He also stated, "those who believe will cast out demons, speak with new tongues, and lay hands on the sick and they will recover." Do you believe this? If not, look around because healing and miracles are taking place everyday. When I was 13 years old I was in a serious ATV accident. As a result, I had 7 crushed vertebra. The doctor told my dad that I was and would remain paralyzed for life. My dad, being a church pastor, said I would not be paralyzed because God would heal me. We prayed and I was completely healed. It is now 21 years later and I have been working in the drywall business, which requires heavy lifting, for many years. Belief in God brings results and I thank Him for my healing. One day I suddenly started having a pain in my knee. My leg swelled up from my knee to my ankle. I couldn't even go to work, and while I was at home, the pastor from church called. He called to infom me of some special guests that were coming for Wednesday night bible study. When I told him about my problem, he prayed for me over the phone. He decalared that by Jesus's stripes I was healed. I was able to go to work the next day and the day after that the knee was back to normal. Thank you Jesus for your healing powers.